This week my colleagues and I were thrilled to announce that mobile job search traffic to Indeed now makes up 50% of total traffic. This is an incredible figure, especially when you consider at the beginning of 2013 the number stood at 33%. This significant milestone shows that the way people search for jobs has changed. It’s a global trend and in many countries the mobile figure is already much higher than 50% – with Korea, Japan and South Africa boasting mobile job search traffic on Indeed upwards of 70%. Desktop isn’t dead, but mobile is in the ascendency and its growth shows no sign of slowing. Interestingly, desktop job search peaks during the morning, but mobile job search takes over in the evening, and is more consistent throughout the day. Essentially, people use their mobiles on the daily commute, log into their desktop at work, and then use their mobiles throughout the day, on the way home and continue this into the evening. Indeed is already well-placed to serve mobile job seekers thanks to Indeed Apply, but the recent acquisition of MoBolt takes this a step further, and makes it possible for employers to immediately create a branded, mobile career site and accept applications from candidates on any device. But mobile doesn’t just affect talent acquisition. As marketers, we have been advocating mobile websites, responsive design and apps for many years – and the truth is people now use mobile for everything. Just think, where is the first place you turn when you’re looking for information, news, entertainment, shopping or places of interest? This trend is being fuelled by increased smartphone penetration, but also better mobile technology and more companies creating outstanding mobile experiences (optimised websites and mobile content). It’s also changed how experiences are designed, and we’ve seen apps, social networks and companies spring up that are mobile first – Instagram and WhatsApp immediately come to mind, but there are many others. I’m pleased to say that we have moved on from repurposing desktop content to creating something that is tailor made for mobile. 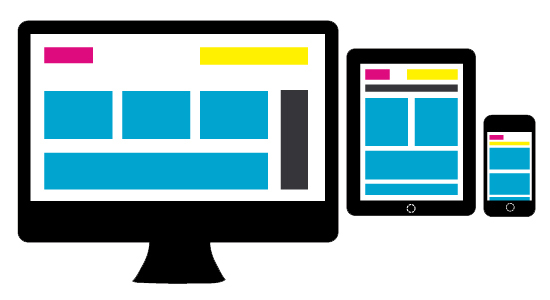 People now realise mobile is a different medium that requires a different approach. Mobile is changing everything. For every industry. And the message is clear – if you’re not serving your customers a mobile optimised experience, you’re missing out.